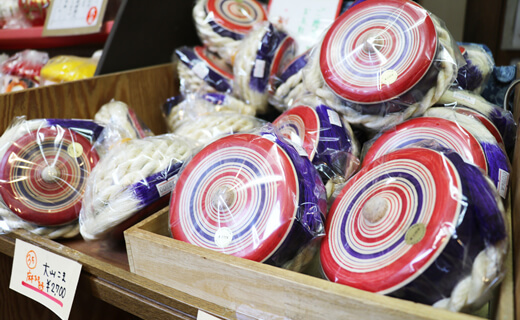 We recommend an economical Tanzawa-Oyama Freepass for excursions in the Tanzawa-Oyama region. 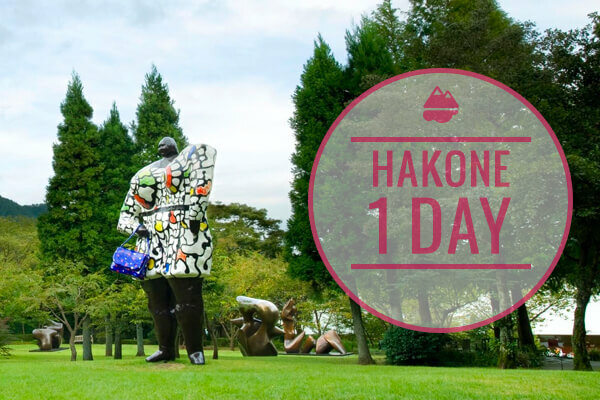 The hiking trails, only a short journey from Tokyo, give beautiful views of the four seasons. Tanzawa-Oyama, just a short ride from Tokyo, is an area known for its natural mountain beauty and especially famous for its hiking trails. The area's gateway Isehara station is less than an hour away from Shinjuku on Odakyu. 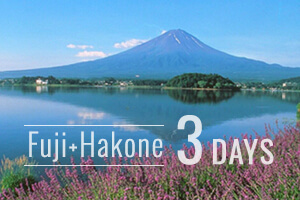 In addition to the spectacular views from the mountains, the contrast between the mountain scenery and Lakes Miyagase and Tanzawa and the beauty of the budding plants in spring and the flames of red and yellow leaves in autumn will leave you enchanted. 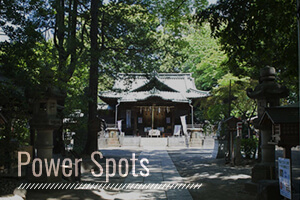 Not only can your eyes feast in the joys of the four seasons, but also certainly worth a visit are such historical sites as Oyama-dera temple and Oyama-Afuri-jinja shrine. In addition to hiking up the mountain, take a ride on the Oyama cable car for an extra delight. 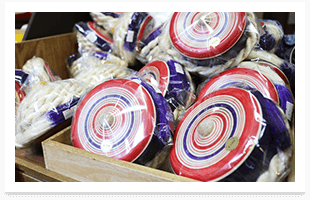 Sumptuous dishes made from local ingredients and the pure waters of Oyama are also very popular. Its tofu is so famous that people even say, "Oyama is tofu, and tofu is Oyama." Oyama Afuri shrine was originally a part of Oyama-dera Temple but was moved to its current location during the Meiji period. The shrine is believed to have been established in the 3rd century, and still sits quietly and elegantly against the beautiful mountain backdrop. 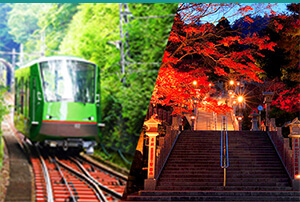 The Oyama Cable Cars serving Tanzawa-Oyama Quasi-National Park cover the 800 meters between Oyama Cable Station and Afuri shrine in 6 minutes. 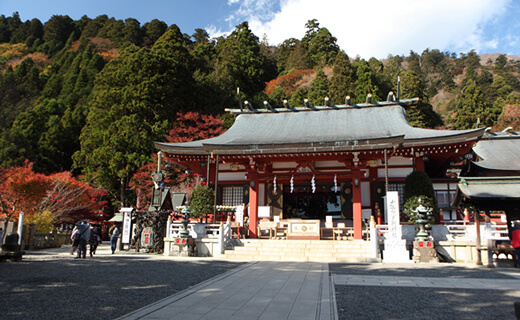 Built in 755, Oyama-dera temple has a long history. Its solemn appearance blends in beautifully with the natural mountain setting, and the autumn leaves there are particularly notable. 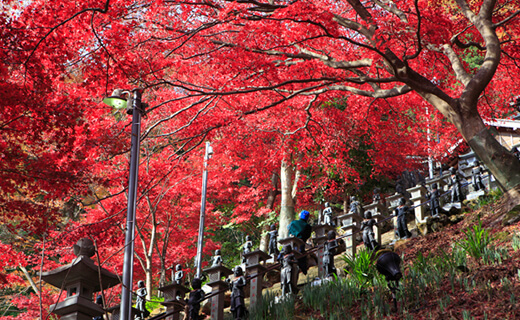 Every year, people flock to see the beautiful trees of Oyama in fall. 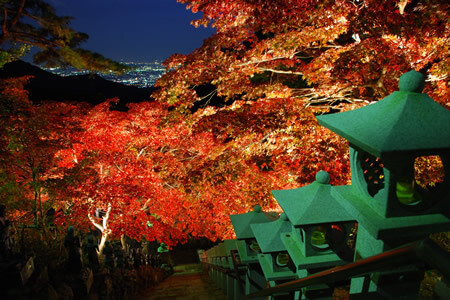 In the evening, Oyama-dera temple and the lower shrine of Ohyama Afuri jinja shrine are illuminated to great effect. 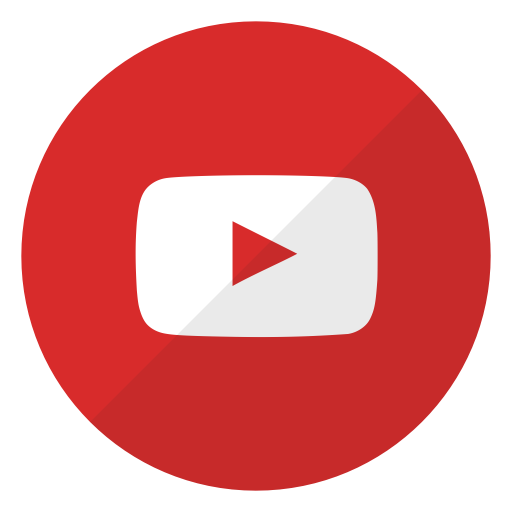 A purification rite is conducted for those sins committed unconsciously over the preceding six months, and prayers are held for a life filled with goodness and purity over the following year. The equinox flowers of Hinata and Arozu come into bloom. 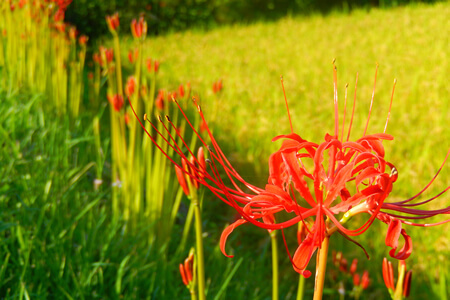 The contrast between greenery of Mount Oyama and the red equinox flowers and golden rice tassels is a magnificent sight to behold. This festival is named for Ota Dokan, who is known as the architect of Edo Castle and ended his life in Isehara during the Sengoku Period. 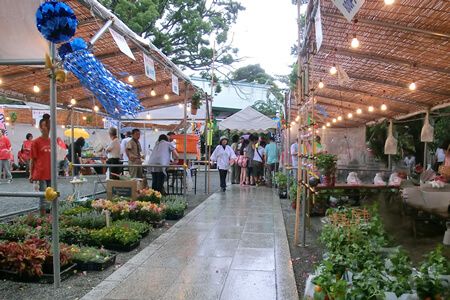 You will find Japanese lanterns, morning glories, rose moss and many other kinds of flowers here. 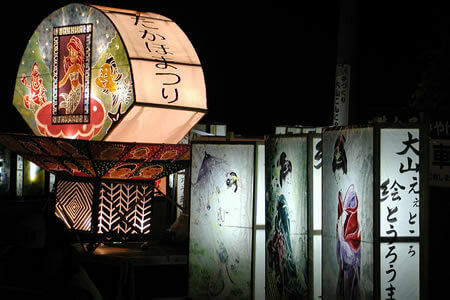 Experience for yourself the evening scenery from Ohyama Afuri jinja shrine and the Gallery of Light created with various paper lanterns. 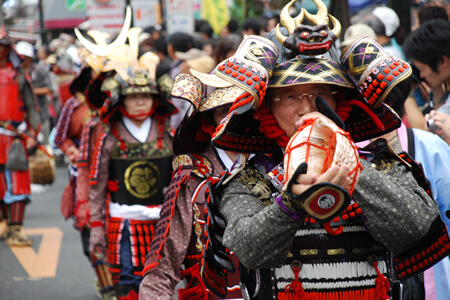 This familiar tofu-themed festival has been held at Oyama since the days of yore. 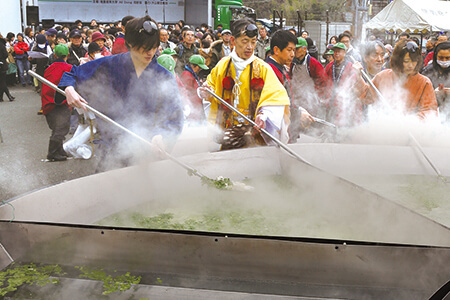 Among the fun events held are the sennin-nabe (hermit’s pot) with tofu cooked in a cauldron 4 meters in diameter, the wanko tofu speed eating contest, and a tofu making workshop. 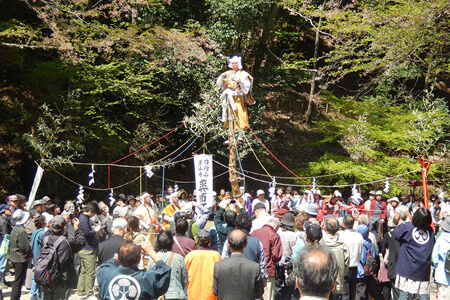 Hinata Yakushi has been known since ancient times as a sacred mountain for shugendo ascetics. 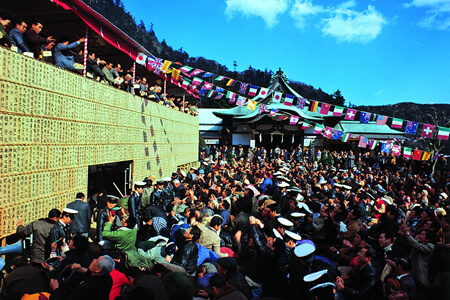 Events that occur during this annual festival include the public unveiling of the principle Buddha statue of the temple, and a safety incantation known as the shigi nobori that is used before and after ascetic practitioners go into the mountains for practice. 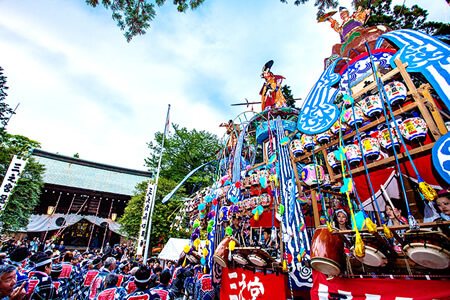 Held at Sannomiya Hibita-Jinja shrine, this festival is a celebration of the regional culture and arts. 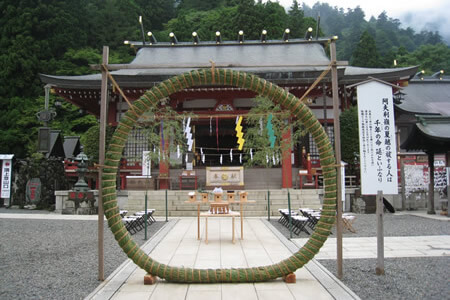 The festival has its origins in an ancient magatama (comma-shaped beads) workshop that was discovered in the area, and many magatama necklaces that have been found. A procession passes through a large hoop made of cogon grass as a purification rite for sins, impurities and calamities, as well as to strengthen people’s life force. This purification ritual is carried out twice a year. 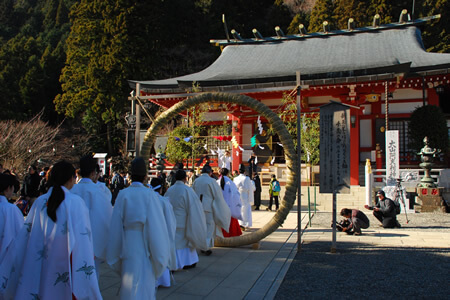 On the first yakushi day of the year, the Buddha triad that is the principal object of devotion at Hinata Yakushi temple is unveiled for the public. 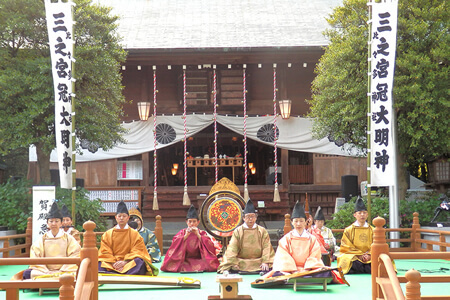 Housed in the sanctuary, the triad is registered as an Important Cultural Property of Japan. On this day, a breakfast called yakushi-shuku is served. On this day marking the day before spring in the lunar calendar, guest performances, lotteries and various other events are held throughout the city at shrines and temples. Proving access to an extensive transportation network, the Tanzawa-Oyama Freepass is an excellent way to see the sights, visit hot springs and go hiking. Romancecar is Odakyu's limited express train; all seats must be reserved. 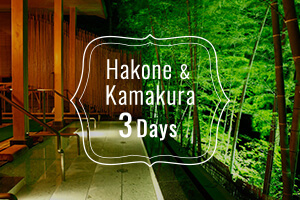 It links Shinjuku with the popular holiday spots of Hakone, Enoshima and Kamakura.